A home inspection is a limited, non-invasive examination of a home to assess the condition in connection with the sale of that home. As a home inspector, you perform the examination, but you are not looking to see if the home complies with certain building codes. Rather, you are identifying problems that the potential buyer wants to know about as it will impact the type of offer they put on a home, or whether they even place an offer. 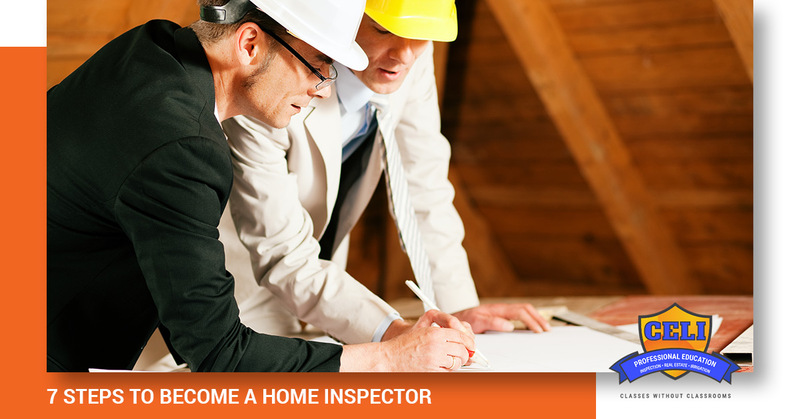 Continuing Education for Licensing offers the courses and exams you need to become a licensed home inspector. Continue reading to learn how you can become an inspector and then contact us today to sign up for the courses you need. Not every state requires home inspectors to obtain their licensing, therefore this should be your very first step. For those of pursuing your home inspection career in Texas, you will need to have a license, which involves 128 classroom hours and an exam. You’ll be expected to renew you home inspector license every two years. Since one of the basics of your job will be to determine the safety and integrity of the home you are inspecting, you will need to be able to evaluate the overall state of the structural, heating, electrical, and plumbing systems of the home. Therefore, having general construction knowledge is important, but if you don’t have this type of experience, you simply need to be willing to learn and work hard. One of the best ways that you can grow your business is to prioritize developing relationships with people in real estate, as they will help provide repeat business for you. Repeat business is one of the best ways to grow a business because the work that you put in to build connections and your reputation will pay off when you are in a slow season. A solid referral source can be an incredible boost. As we mentioned, not every state requires you to obtain a home inspector license, but if yours does, then you need to make sure that you prepare properly. One of the best things you can do to ensure that you pass your test is to take practice exams, and take advantage of a study guide. Continuing Education for Licensing offers the courses, exam prep, and exams you need to receive the certification you are pursuing, so be sure to contact us today. 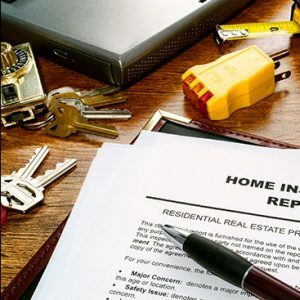 There are no laws or regulations that require you to join ASHI, but it will provide numerous connections that will benefit you in your career as a home inspector. Networking, additional certifications, and educational opportunities are critical to the success of any job in the field of home inspection. There are three options for you to choose from once you’ve passed your state licensing exam. Each option has unique benefits, so you will need to decide which one more closely aligns with your goals in the field of home inspection. If you choose to work for an established firm, then you can expect to start with a steady stream of clients right away, as they already have an established brand. Starting your own business can be exciting because you are able to control every aspect of the company. However, you will be starting from the ground up, which will mean that you need to start networking with real estate agents so that you can build your client base. Purchasing a franchise might also be a great option for you. A franchise offers the benefits of a recognized brand, ready-made marketing materials, and built-in relationships with other realty companies. Some of the areas that you will want to study include: structural, exterior, heating, ventilation, pools, and more. With so many different factors involved with home inspection, you want to make sure that you are completely prepared for each one. Continuing Education for Licensing in Caton offers the courses, exams, and certifications you need to pursue your career in home inspection. We know that you want to have a long and successful career as a home inspector, which is why we encourage you to never stop learning and pursuing courses to stay current with all of the changes and updates in your chosen field. If you are looking for help with selecting the right courses and exams for you, then be sure to contact Continuing Education for Licensing today and let us show you all that we have to offer. We are here to help you achieve your career goals.